Soft almond bits blended into a honey flavored taffy. 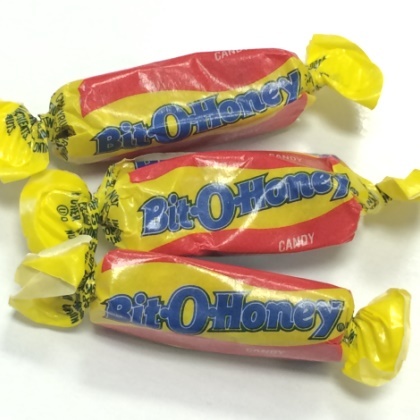 This Bit O'Honey classic candy is as always low in fat. OU Kosher. Approx. 4 pieces per ounce. 11 oz. bag.